Issued in two slim double jewel cases housed in a box-type slipcase. 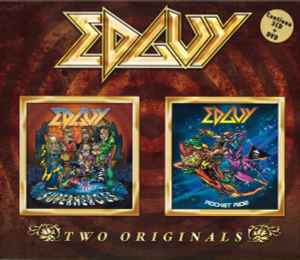 The first case includes the reissue of the Superheroes EP with extra DVD, and the second the reissue of the Rocket Ride album with bonus CD. The cat# is listed as SC05229-0 on the spines, and as SC05229 on the disc faces.